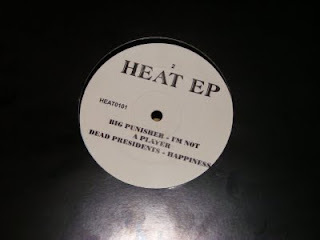 I picked this bootleg EP up in the summer of 1997 from the legendary Deal Real record in London's West End. I remember paying about £8 for it and I think it was essentially a bootleg of four tracks from Loud artists; Xzibit, Tha Liks, Big Pu and The Dead Presidents (Dead Prez). 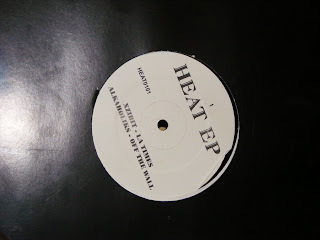 My man Mr lawson tells me this was a bootleg of tracks featured on a Loud promo tape called Summer Heat. It has soome good tunes and I have always been a fan of tha Liks so I picked it up. 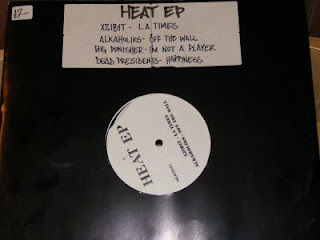 The first track on this is from Xzibit and is called L.A. Times and is produced by Mel-Man, someone who I heard often does Dre's work for him. This was released by Loud as an official promo 12" in '97 before being featured on Xzibit's second album 40 Dayz and 40 Nights in 1998. Its a decent enough track with an almost marching beat and Xzibit dropping his usual insights on life. Not bad, nothing amazing just a typical Xzibit album track really. The second joint on the A-side is the Liks jojnt and its a typical Parliament funk Liks party joint. Not one of their best joints nor their most creative although J-Ro and Tash do drop their usual funny rhymes over a beat that is provided by T-Smoov, all I can say is where was E-swift. This track eventually appeared on the Liks's third album Lkwidation. This was a good album but by no mean near their first of second albums in terms of overall quality. I kinda got the feeling that by this point tha Liks were just going through the motions rather than really excelling like they did on the first two albums which were both classics in my opinion. The third track is the classic I'm not a player by my favorite overweight Puerto Rican (sorry Noreaga)Big Pun. This track is a classic. From the O-Jays sample to Puns amazingly funny lyrics it just works on every level and every-time I hear it I'm reminded of what an amazing lyricist Pun was and what a loss to Hip Hop his death was. Rest in Peace Christopher Rios. The last track on here was the first track I ever heard by Dead Prez. Although a version of this would later appear on their 2000 debut Lets Get Free I for one prefer this version, its more acoustic and the beat suits the subject matter better than the one on the album. All in all this was a nice lil' purchase especially considering at the time some of these track didn't come out for another two years. Check the link below for a full rip. This was a boot of tracks lifted from a Loud promo tape called 'Summer Heat', which I still have somewhere. It was pushing current and forthcoming stuff on the label, including a coupla R&B joints.